Sharecropper Shack, North Carolina 1939. This is a picture of an old Sharecropper Shack near Olive Hill, North Carolina. I actually find the cabin quiet attractive, and I would have no problem living there. You can see it is designed to allow a breeze through the cabin in summertime, and the large fireplace would keep it toasty in the wintertime. 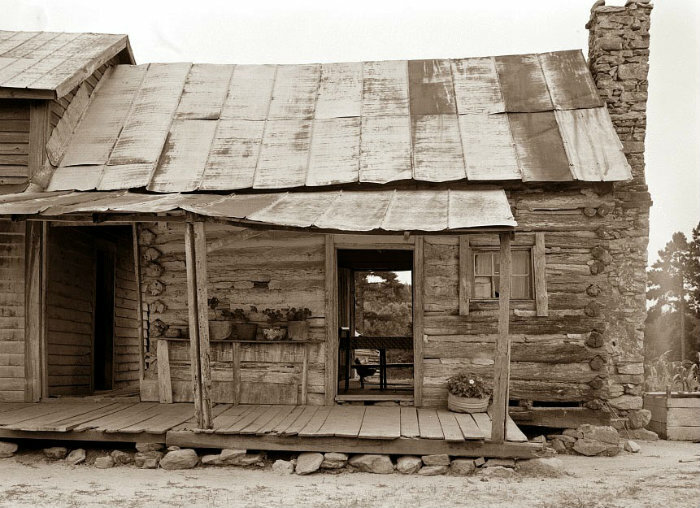 The picture was taken in 1939.
via Old Picture of the Day: Sharecropper Shack. ← Polar Bears of Svalbard. A lot of character there, boy, times were tough then.